If you are looking for a creative, clean, and fully customizable presentation template that will make your information standout, then Rian is the powerpoint template you want to use to wow your audience. With a little bit of color and some simple designs, this presentation template will impress your audience with its creativity, yet clean and professional look. Because this is your presentation, you have full control over how you want your information organized. You can rearrange and change anything you need to give your slides the look you want, how you feel would be the best way to present your information. In addition, this template has animated slides and transitions to make your information flow more smoothly. In fact, this presentation template has a minimal style that allows you to add images which enhances the audience’s attention. Adding images lets you show your audience the big picture of what is being discussed while giving the audience something other than words on a screen to look at. Impress your audience with your creativity. You can also add infographics if needed, which you can use to help support, explain, and prove any data that was discussed in the presentation. Impress your audience with this amazing presentation template that will just wow them. 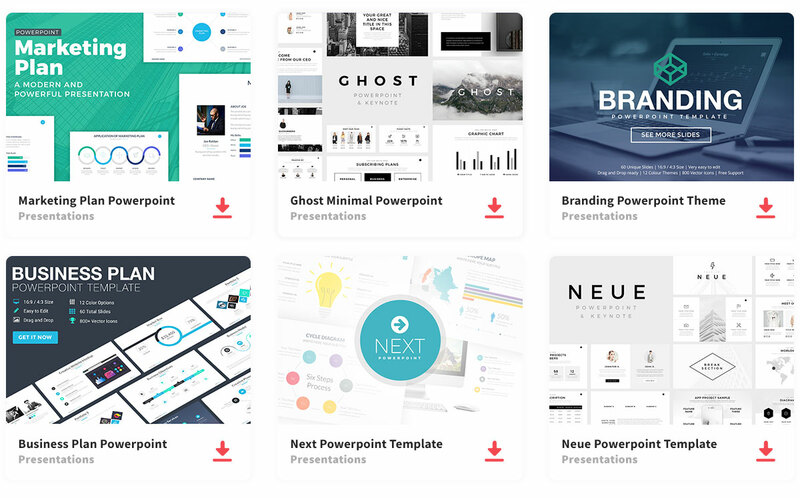 Rian is easy to download and easy to use, so don’t stress about trying to create the perfect presentation template when you can just use this one. Thanks to SlideFabric Studio for sharing this free template.